The Vein Clinic specialises in the treatment of varicose veins using laser and microwave keyhole surgery. Varicose veins are a very common problem. Approximately 30 per cent of women and 15% of men have varicose veins. The biggest single cause is hereditary. Veins run in families and most patients will have affected family members. Although varicose veins are commoner in older people, they present their greatest problems in young active individuals where they may interfere with work and leisure pursuits. Doctors are not certain what causes varicose veins. 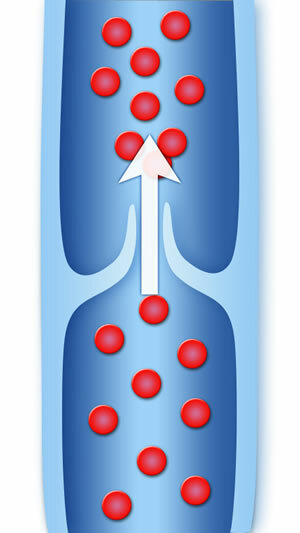 We know that there is failure of the valves in veins that allow one-way blood flow back to the heart from the legs (Figure 1). These poorly functioning valves allow blood to pool and cause lengthening and swelling of the veins themselves leading to the twisted rope-like appearance of varicose veins. 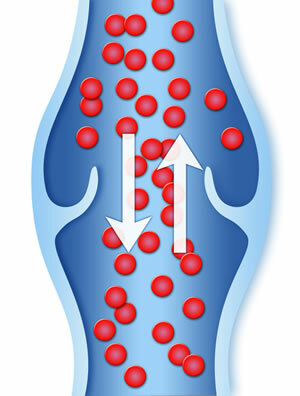 Many people with varicose veins never have symptoms of any kind from them. When symptoms do occur, they are generally a nuisance, rather than medically serious. Only very small proportions of people with varicose veins ever develop ulcers and there are almost always early warning signs, with darkening or eczema of the skin at the ankle. This is by far the most common problem. Many patients with varicose veins will not wear skirts or shorts. In our clinic we have seen mothers who have never taken their children swimming or got undressed in front of their husbands. Aching and heaviness of the legs are common complaints, particularly after standing up for a long time. Some people with varicose veins get itching and swollen ankles. Occasionally patients may experience restless legs. All symptoms caused by varicose veins tend to be worse at the end of the day, although we have had quite a few patients with night cramps caused by varicose veins. In some patients varicose veins lead to ulcers. The earliest sign is a patch of exczema or skin discolouration near the ankle. This then becomes warmer than the other side and the skin gradually tightens. Following a minor injury (frequently forgotten by the patient) a small ulcer develops which then enlarges and refuses to heal quickly. Fortunately only a small minority of the patients with varicose veins will develop ulcers (Figure 2).